The original and most trusted sea salt brand, referenced in more culinary and nutritional books and journals than any other salt in the world. 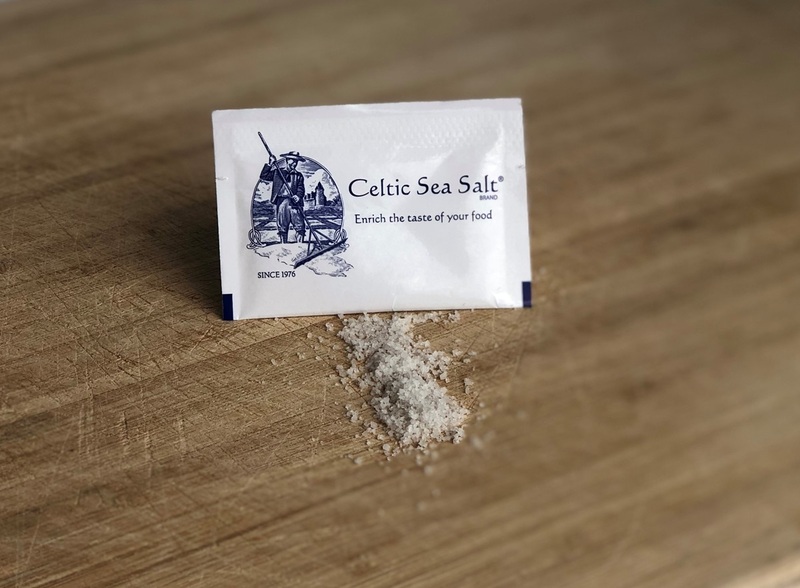 Celtic Sea Salt® is authentic, unprocessed, whole salt from pristine coastal regions. Our salts retain the natural balance and spectrum of essential minerals, supplying the body with over 80 vital trace minerals and elements. The picture of flavor and convenience ~ our Fine Ground To-Go! packets make it easy to take your favorite salt with you, share with a friend or stock a kitchen/restaurant/diner. This is the perfect way to try Celtic Sea Salt® or introduce to a friend/family member! There's no easier, longer-lasting way to make Celtic Sea Salt® an integral part of your kitchen! Convenient, single-serve packets are ideal for condiment stations, carry out, room service or just about anywhere salt is needed! We also offer Fine Ground and Organic Pepper packets in quantities of 1,000. Please call for details. 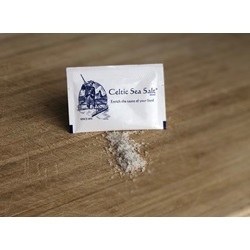 Celtic Sea Salt® Brand Fine Ground begins as our coarser Light Grey Celtic® variety and is then carefully dried at a low temperature and finely ground. With a flavor subtler than our coarse salts, Fine Ground Celtic Sea Salt® is a perfect all-purpose shaker salt, for convenient use at the table, as a recipe ingredient or in baking. Celtic Sea Salt® Fine Ground is the perfect salt for the novice health buff, and a great way to introduce friends and family to Celtic Sea Salt® Brand salt. Our Fine Ground has no additives and is not processed in any way beyond drying and grinding. For all to-go packets, please click here.